The only defining constant of the world we live in today is the need for continuous evolution. Mirroring this, our collective tastes in music similarly demands adaptation and re-evaluation, pausing for breath at a moments notice before moving on for pastures new, our musical sensibilities, and the defining manifestation of this transition. This is something we at Audioporn Records fully endorse through our output, with each release a reflection of this diversity, no matter which artist or what tempo. With this is mind, it makes sense that moving into our sixth year since our inception in 2007, our first full long player should incorporate and celebrate this ethos, each track bearing the signature tempo-change. Featuring a plethora of previously unreleased material and a selection of favourites from a collection of forward-thinking artists, both affiliated with our label and appearing for the first time, Transitions is the perfect snapshot of the wide variety of styles and flavours that Audioporn Records encompasses. Featuring heavyweights such as Noisia, Excision & Datsik, Camo & Krooked, and Dirtyphonics; label flag-bearers Shimon, Xilent, High Maintenance, Fourward, Dilemn, and a host of others; each track enabled as the perfect DJ resource for crossover multi-genre mixes. 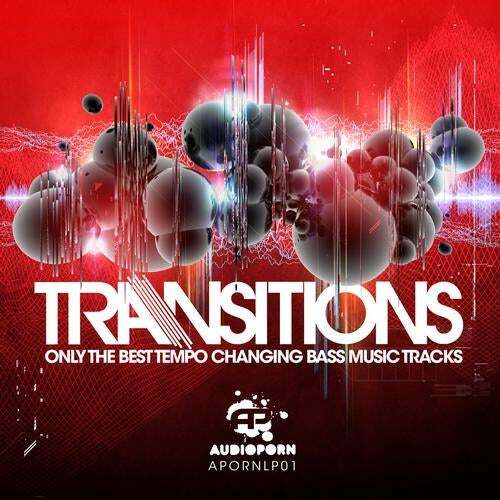 Our most ambitious and kaleidoscopic project to date, Audioporn is very proud to present only the best tempo changing bass music tracks, with the Transitions LP.